Megan's research falls broadly within environmental policy, governance and economics, with a particular focus on how complex policy processes translate into environmental outcomes. She has worked and published on topics ranging from biodiversity offsetting, native vegetation policy, carbon markets and conservation planning, and is passionate about conducting interdisciplinary, impactful research in close consultation with colleagues working in government, non-government organisations and industry. Prior to her appointment at UQ, Megan was a PhD candidate at the Fenner School of Environment and Society at the Australian National University, where she investigated the challenges and complexities associated with conservation policy in Australia using an interdisciplinary, mixed methods approach. Megan's current work is part of the National Environmental Science Program - Threatened Species Recovery Hub (NESP TSR), where she is investigating cost effective and innovative biodiversity offsetting approaches for Australian threatened species. Biodiversity offsets now routinely form part of the conditions of approval for urban, mining and industrial developments in Australia and internationally. Much of the research into biodiversity offsetting to date has been on policy design, and the complexities associated with quantifying biodiversity losses and gains. While these are important areas requiring ongoing work, comparatively little attention has been placed upon the legal, financial and governance dimensions of offsetting, and how policy design ultimately translates into policy outcomes. In this presentation, I describe some of the key findings from my research into biodiversity offsetting under Australian federal policy. I show that a range of factors can inhibit the delivery of positive outcomes for biodiversity through offsetting, such as: baseline assumptions and the many meanings of ‘no net loss’, the complexity of government decision-making processes, content and wording of approval conditions, and unclear or incomplete lines of responsibility for long term offset management and governance. I offer some recommendations to address each of these issues. Finally, I outline preliminary findings from work conducted as part of the National Environmental Science Program through the Threatened Species Recovery Hub, which aims to identify the best offset strategies for threatened species and ecological communities using an expert elicitation approach. 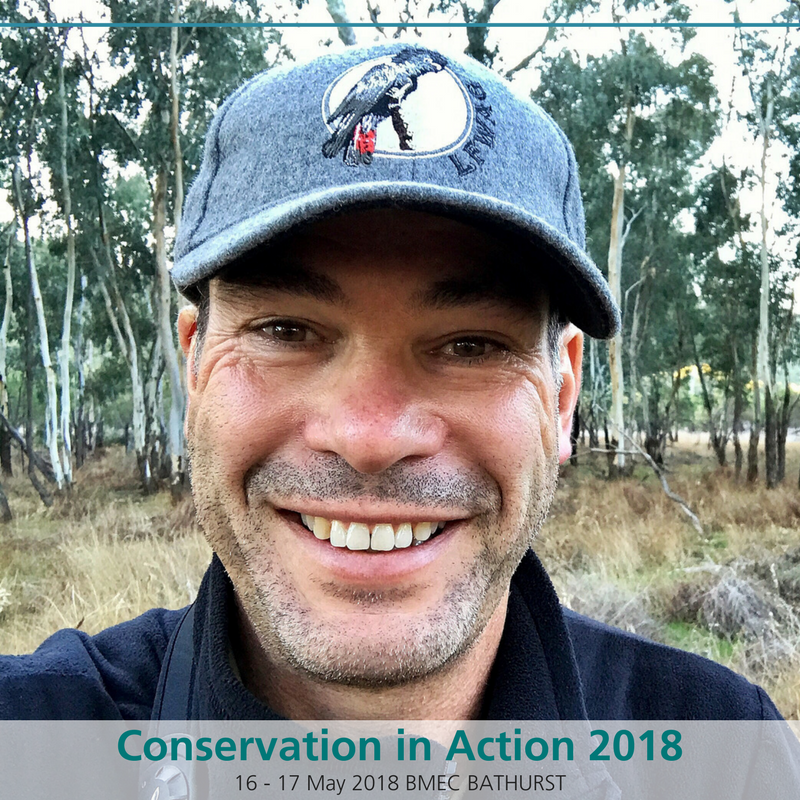 Matt Cameron has worked in the field of natural resource management for more than 20 years, with an emphasis on threatened species conservation. Much of that time has been spent in central and western NSW, working on a range of environments on a wide variety of plants and animals. He is currently based in Albury, working for the NSW Office of Environment & Heritage. Ensuring the long-term viability of populations is fundamental to the recovery of threatened species. A Local Area Management Plan (LAMP) is a map-based plan detailing the on-ground work needed to maintain local threatened species populations. LAMP management actions focus on increasing the size, quality and connectivity of habitat islands. This approach to threatened species conservation relies on the voluntary support and participation of local landholders and the community, who play a key role in developing and implementing the LAMP. The LAMP approach will be detailed using the Burrumbuttock Squirrel Glider LAMP as a case study. Marita Sydes has been managing revegetation projects in the central west and central tablelands for over 20 years. As the Programs Manager / Coordinator for Central Tablelands Landcare for close to 10 years Marita has developed the box gum woodland revegetation program for the group and has facilitated the establishment of a Landcare Native Plant Nursery. Marita and the team at Central Tablelands Landcare have worked directly with landholders to develop revegetation projects that are compatible with productive systems and achieve real on ground outputs. Marita has also worked in delivering training in many aspects of box gum woodlands over the years - including local plant identification and seed collection, wildlife corridor design as well as bird watching and night time spotlighting. Marita is passionate not only about the protection and revegetation of our local box gum woodlands but sharing her desire to see these endangered woodlands protected and enhanced locally. In 2011 the Central Tablelands Landcare group started a box gum woodland revegetation program focussing on our two local endangered ecological communities - the White Box Yellow Box Blakely's Red Gum Woodlands as well as the Tablelands Snow Gum, Black Sallee, Candlebark and Ribbon Gum Grassy Woodlands. Over the past 7 years, Central Tablelands Landcare has worked to engage landholders in the revegetation of these grassy box woodlands locally. The success of the program is a result of addressing the needs of landholders combined with an understanding the research behind revegetation designs which has resulted in Landcare being able to develop and deliver a series of revegetation projects that are enhancing connections and habitat across our extensively cleared grassy box gum woodlands. To date many partnerships have been developed and funds totally over $750,000 have been sourced to support the delivery and implementation of the revegetation program. There has also been a strong emphasis on community education about our endangered communities, including the delivery of a range of workshops on local native plant identification, seed collection, propagation, nest boxes, wildlife cameras and surveying for local bird species. The results are demonstrating that our approach of varying the focus of projects and offering a range of revegetation designs is engaging a growing number of landholders in the revegetation of our grassy box gum woodlands as well as building public awareness and understanding of these endangered communities.